When you want to achieve something or make a change in your working life, the path to the new behavior, experience, or outcome invariably leads through communication. This is because the patterns of communication and interaction we engage in are what make the experiences we live. Unfortunately, one of the most pervasive and damaging patterns of communication that plagues us is a recurring cycle of unmet expectation. The frustration, disappointment, anger, and apathy that often accompany the gap between “what we want” and “what we get” can be so dominant that these emotions tend to negatively shape our outlook on the future. Over time, when our experience doesn’t match our expectations, we have a tendency to expect more unmet expectations. The deep irony here is that most unmet expectations that lead to missed achievements, disappointing outcomes, and relationship break downs were never spoken in the first place. The last time you asked for something a little hard to describe (i.e. a bit of respect and appreciation, room to make a few mistakes, etc.) 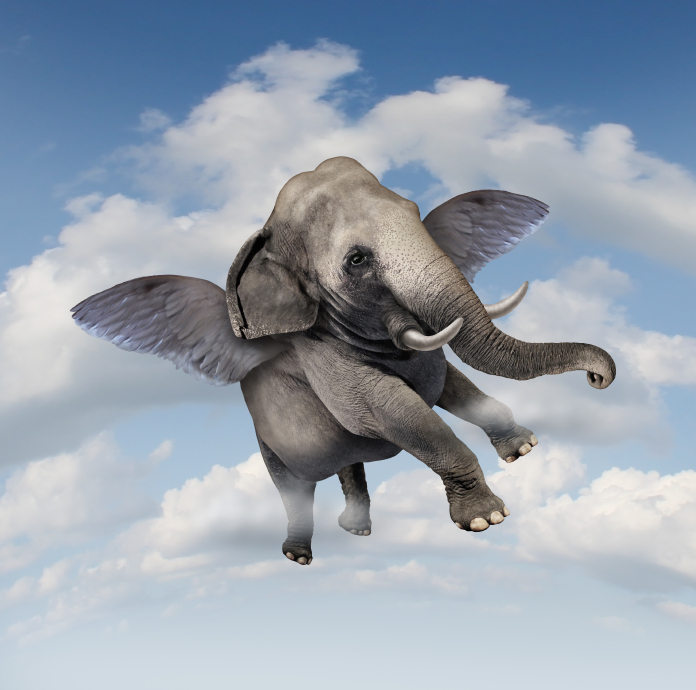 did you get the sinking feeling that the other person heard you ask for a flying elephant? Although we often believe that “we said what we meant” and that the other person “heard what we said,” sometimes we just get flying elephants and the unmet expectations that follow. I believe the reason it so difficult to get what we want is because it is hard to talk about what matters. In order to intentionally shape our patterns of communication and interaction so they create the conditions for the experiences and outcomes we seek, we have to first know what matters. While we are unfortunately well-versed in the experience of knowing what we do not want (and learning to live with those unwanted patterns of communication and interaction), identifying what is really important to us can be a struggle by itself. It is another challenge all together to learn how to talk about what matters to others. The first issue is that in the absence of clearly stating what matters, “you will make people guess and they will likely guess incorrectly.” Most conflict in the workplace occurs due to unmet needs. The irony of unmet needs and expectations is that they are often left unspoken. So when we rationalize ourselves away from clearly stating what we want, or what is most important to us in a specific situation or relationship, we may think that we are avoiding the pitfall. The fact is we are simply digging the hole deeper by forcing the other person or people to guess our relative perspective and priorities and to take action accordingly. And this is the reason why unresolved conflict in the workplace is such a significant, repetitive problem. We are all pretty bad guessers when it comes down to it. The second issue is that “getting what you want requires active movement toward it.” It is self-deception to want something, but to make no active move how vague it may seem at the moment. Gaining the confidence to talk out loud about what matters, being fearless about the word choice and how inarticulate it might sound at first, is an active move. As the picture of the desired pattern of communication and interaction comes clearer into focus, the next moves to re-make the unwanted pattern are more easily clarified. One of the interesting things about success is that we think we know what it means. A lot of the time our ideas about what it would mean to live successfully are not our own. They’re sucked in from other people . . . [It] is not that we should give up on our ideas of success, but that we should make sure that they are our own. We should . . . make sure that we own them, that we’re truly the authors of our own ambitions. Because it’s bad enough not getting what you want, but it’s even worse to have an idea of what it is you want and find out at the end of the journey that it isn’t, in fact, what you wanted all along. The fourth and final issue is that learning to re-make unwanted patterns requires us to “say yes and no in the right ways, at the right times.” In other words, we need equal amounts of courage and willingness to start doing the things that, despite their potential difficulty, are required to make something different. We also need the courage and willingness to say no, draw a line in the sand, and avoid doing certain other things that would either reestablish the old unwanted pattern or simply get in the way of making what we want. Saying yes to new things is a bit more straightforward than saying no. However, when the patterns that you want to re-make are built on following others’ expectations, putting things on the “stop doing” list may be just as hard as beginning new attitudes and behaviors. We know that there are truly no individual actors in organizations and, regardless of your title, tenure, and power in the organization, you need other people. But when the writer and cartoonist Hugh MacLeod said, “The best way to get approval is not to need it,” he points to a very important theme with regards to re-making patterns. When there is something we want, we have to be willing to talk about it in the language of priority. If we are willing to share our own vision of what matters and work openly with others, we naturally move beyond the need for “approval” to active “engagement” and support for our goals. Dr. Jesse Sostrin can help your team talk about what matters when it comes to the critical patterns of communication that sustain unwanted outcomes in your organization. 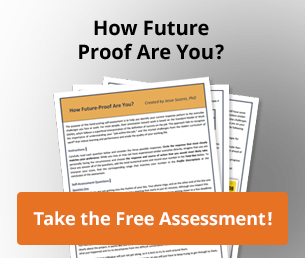 If you’re tired of dealing with the burden of unresolved conflict, eroded trust, collaboration failure, and declining performance, then start your Discovery Session now to create the conditions for the changes you seek.